Our primary focus for every service at The Collective is to host the presence of God. He is worthy of our worship, affection, and attention. Everything we need can be found in Him. Do you need Healing? Love? Encouragement? Guidance? Answers? Purpose? These are all things that our Great God has in unlimited supply because He loves us so much. You will leave having encountered the tangible love of God and welcomed into a community we call "The Framily" [Friends+Family]. This may be the very reason you fall in love with The Collective Church right away. 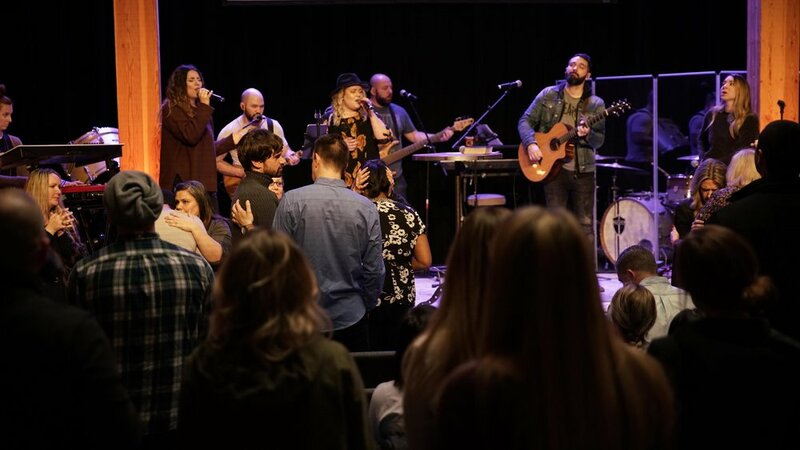 Yes, the music and sound is on a level that is mind blowing, but the primary goal is to lead you into a space where the presence of God overwhelms you and you can clearly connect with His relentless love for you. Talent and sound is important, but our honored guest is the Holy Spirit. In fact, this red-carpet-roll-out for Him during worship is what causes people to flood the church before start time. We can’t wait to have you worship The King with us! The Collective Church is known for its authentic messages delivered with power and transparency. We believe that because we are Framily, there is no reason to perform for you. TRANSFORMATIONAL ENCOUNTERS WITH GOD: that’s what we’re after!